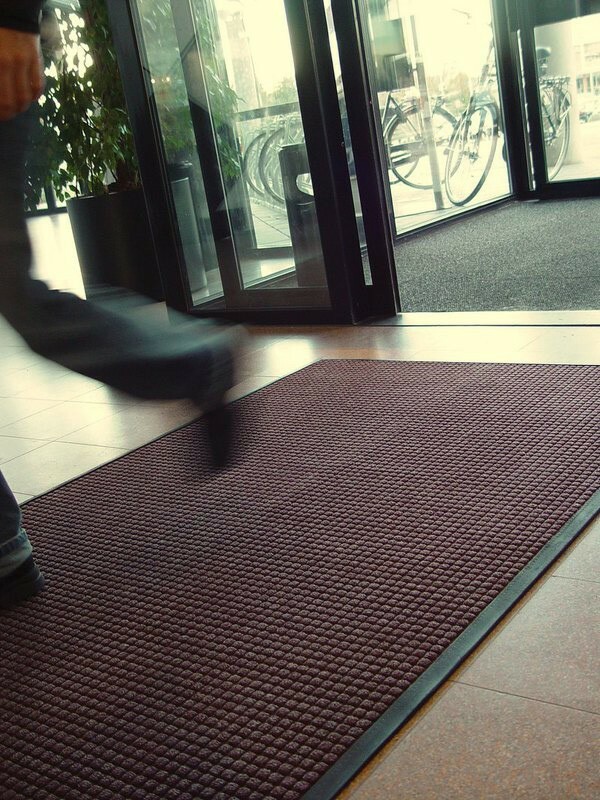 The System Hygiene Absorba Mat is a very high quality and very absorbent floor mat. 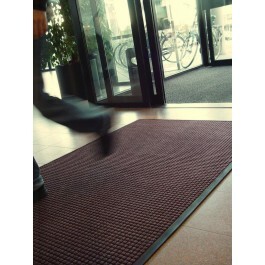 This is a very popular mat in schools and colleges and is ideal for use in high traffic areas and entrance ways. Five standard colours are available from stock but other special colours can be arranged. The mat has very good water retention, crush resistance and soil reistance ratings. Tough, long lasting mat with raised `waffle` design that removes dirt and moisture - can hold up to 6 litres per sq m.
Decalon fibres bonded to tough rubber base. Gripper backing minimises movement on all surfaces and actually raises mat off the floor to allow drying underneath when newly mopped. Extremely tough solid rubber borders - a great plus in schools. Available in black, blue, red, light grey and brown.